A lot of eye troubles later in life are due to a failure of toning eye muscles. These muscles become rigid, and lose elasticity. This causes the lens of the eye to focus incorrectly at different distances. It also causes the eyesight to become weaker. These exercises tone the eye muscles up and keep them elastic. Any eye tension present will tend to produce a general feeling of tension, due to the eye's connection to the brain via the optic nerve. 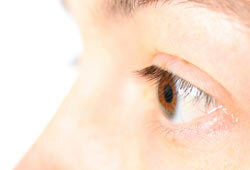 What happens is that eye tension produces an increase in the nerve impulses in the eye muscles. This increase in nerve impulses travels along the optic nerve and bombards the brain, causing a general feeling of tension and anxiety. Most of them have a condition of farsightedness, astigmatism or nearsightedness and have to wear glasses or contact lenses all the time. But there are many ways to treat these conditions. What a lot of people don't know is that vision can be improved without surgery simply by doing simple eye exercises every day. Vision skills are also enhanced through exercises. Vision skills are essential to understand, analyze, and interpret what we see. This is called visual perception. The vision skills which are improved through exercise are the following. 1. Visual Discrimination: This lets us see differences between objects that are similar. Good visual discrimination helps keep us from getting confused. 2. Visual Memory is another important perceptual skill. It helps us recall what we've seen. 3. Figure Ground is the perceptual skill that lets us pick out details without getting confused by the background or surrounding images. This skill is especially helpful when we're presented with a lot of visual information at one time. 5. Visual Form Constancy is the ability to mentally turn and rotate objects in our minds and picture what they would look like. This skill helps us distinguish differences in size, shape, and orientation. There are different types of exercises for the improvement of different perception skilsl and clear vision for the eyes. Some of the important types of eye exercises are listed below. To rest and relax your eyes, sit comfortably in front of a table, resting your elbows on a stack of cushions high enough to bring your palms easily to your eyes without stooping forward or looking up. Close your eyes and cover them with your cupped palms to exclude light, avoiding pressure on the sockets. Breathe slowly and evenly, relaxing and imagining deep blackness. Begin by doing this for 10 minutes, two or three times a day. Relax and keep the eyes mobile. Stand up and focus on a distant point, swaying gently from side to side. Repeat 100 times daily, blinking as you sway. Blinking cleans and lubricates the eyes, which is especially important if you spend a lot of time in front of a computer. You may be asked to have a ‘color day’. Choose a color and look out for it throughout the day. When you see it, be aware of the color rather than the form. The See Clearly Method is another popular series of exercises and training to help with vision correction. Similarly to the Bates' method, you are required to do 30 minutes of eye exercises a day to strengthen and enhance the flexibility of the eye's muscles. Close your eyes tightly for 3-5 seconds, then open them for 3-5 seconds. Repeat this 7 or 8 times. Close your eyes and massage them with circular movements of your fingers for 1-2 minutes. Make sure you press very lightly; otherwise, you could hurt your eyes. Press three fingers of each hand against your upper eyelids, and hold them there for 1-2 seconds, then release. Repeat 5 times. Sit and relax. Roll your eyes clockwise, then counter-clockwise. Repeat 5 times, and blink in between each time. Sit about 6 inches (200 mm) from the window. Make a mark on the glass at your eye level (a small sticker, black or red, would be perfect). Look through this mark and focus on something far away for 10-15 seconds; then focus on the mark again. Hold a pencil in front of you at arm's length. Move your arm slowly to your nose, and follow the pencil with your eyes until you can keep it in focus. Repeat 10 times. Look in front of you at the opposite wall and pretend that you are writing with your eyes, without turning your head. It may seem difficult at first, but with a bit of practice it is really fun. The bigger the letters, the better the effect. Imagine that you are standing in front of a really big clock. Look at the middle of the clock. Then look at any hour mark, without turning your head. Look back at the center. Then look at another hour mark. Do this at least 12 times. You can also do this exercise with your eyes closed. Focus on a distant object (over 150 feet or 50 m away) for several seconds and slowly refocus your eyes on a nearby object (less than 30 feet or 10 m away) that's in the same direction. Focus for several seconds and go back to the distant object. Do this 5 times. Eye Care is an important factor for overall health. We sometimes take sight for granted but can you imagine not being able to see everyday things normally? Imagine not being able to see your kids, watch TV, take a walk and see nature. People with certain eye diseases are not able to enjoy these experiences to their fullest extent and sometimes not at all. There are several reasons for people to start learning more about eye health and how to protect our sight. There are not only personal reasons but financial reasons as well because the cost of eye care affects everyone. the urge to rub your eye(s) frequently etc. Eye exercises help do away with eyestrain and tension. Eye exercise benefits extend to those suffering from weak eyes, dry eyes, macular degeneration and other vision problems. Since the health of the eyes depends on the strength of the eye muscles, it is essential to keep the eye muscles well exercised and well toned. Your vision will get better and clearer as the ophthalmic nerves receive a richer supply of blood. Poor eyesight may be caused by poor vitamin supplements. Vitamin A, for instance, is needed for night vision. People who lack this vitamin - which is found in dark green leafy and yellow vegetables and fruits - can’t see well in dim light because of night blindness.